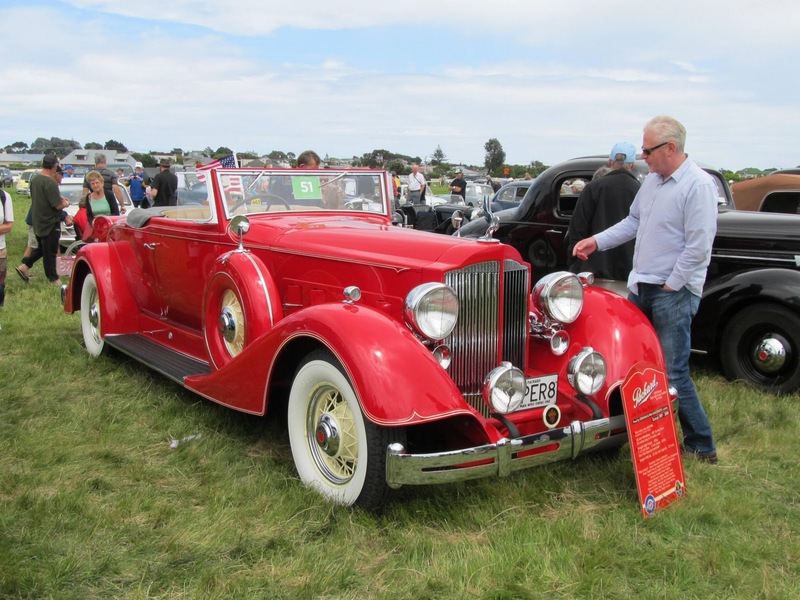 The Vintage Car Club of New Zealand has been holding an International rally in NZ over the past week or so. Last Sunday was a public viewing day at Wanganui racecourse. 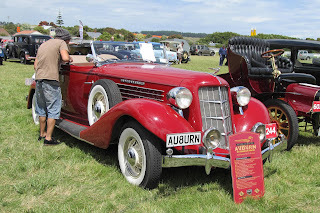 Here are some photos I took at this event. 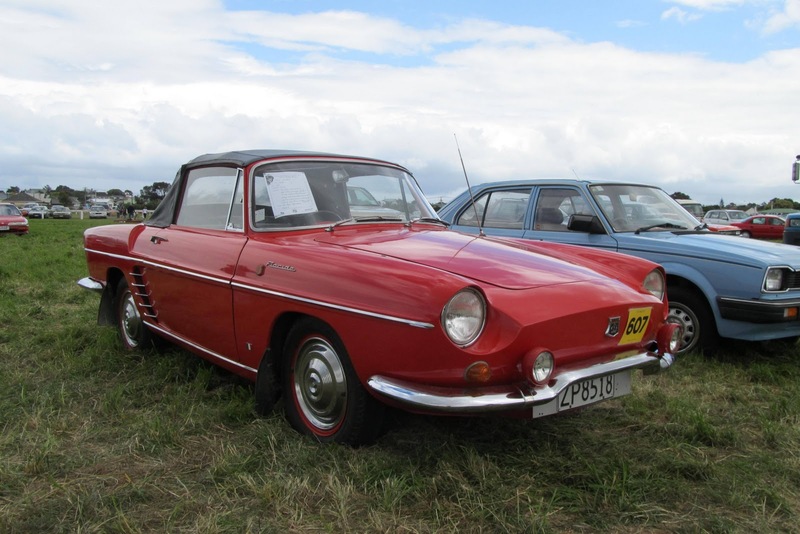 First, let's look at some convertbles and open tops. This 1934 Packard Super 8 has appearred on my blog before, but it's well worth another look. 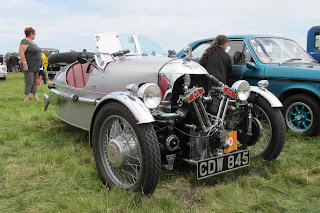 1933 Morgan Supersport beetleback with Matchless powerplant. 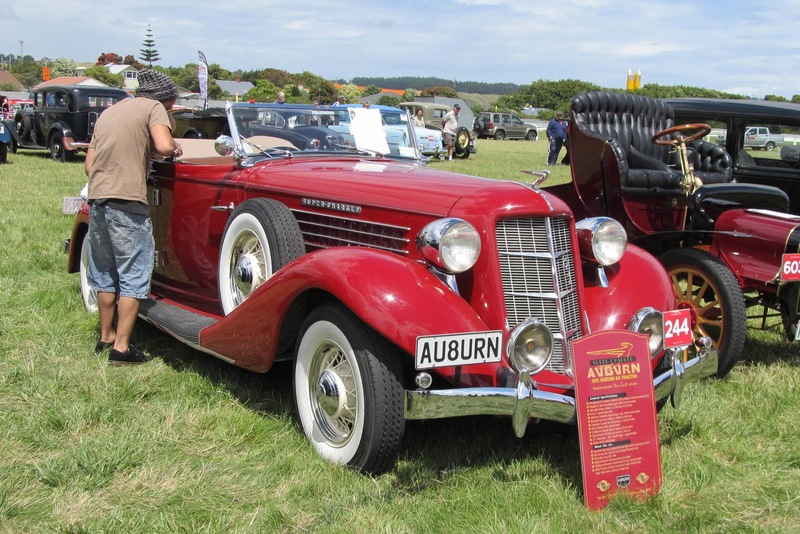 The 1935 Auburn 851 Phaeton has a 4.5 litre supercharged straight eight and a two speed rear axle. Guaranteed to to do 100mph when it left the factory. 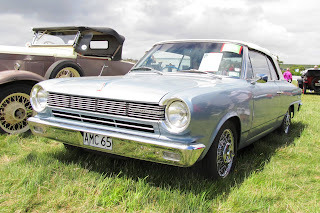 TC Midgets were the most common (but rare now), I have seen a TB. 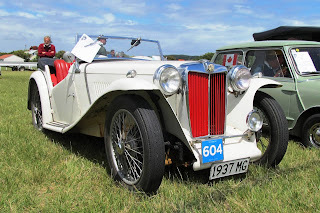 This one is a TA from 1937. 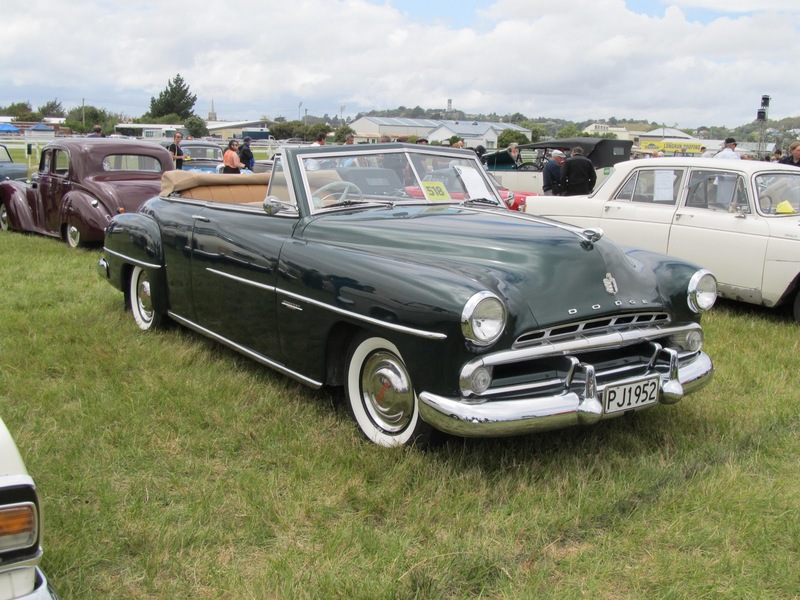 A 1952 Dodge Coronet in right-hand-drive. 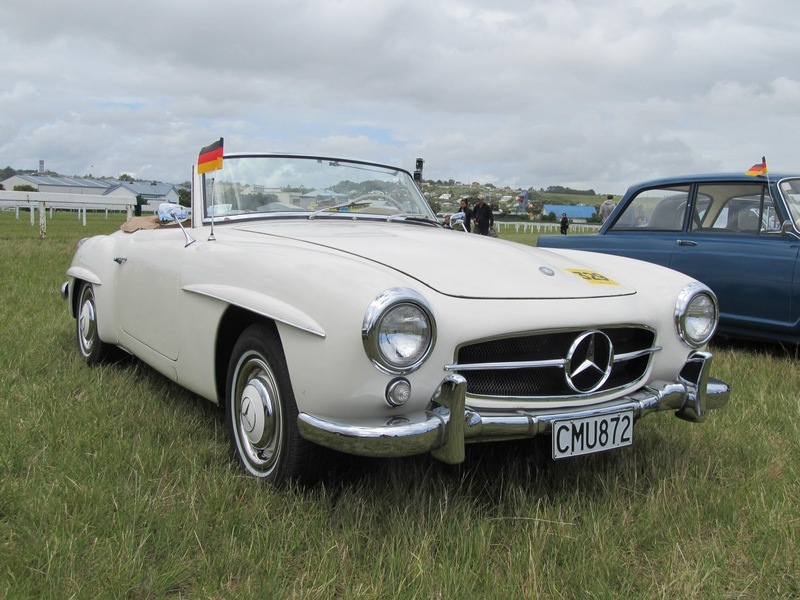 I always thought Mercedes Benz 190SLs were a nice simply styled sports car. This one is from 1955. 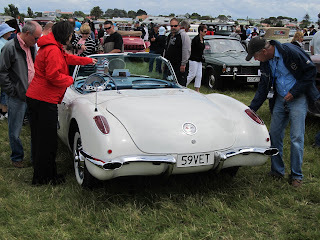 The rear of a 1959 Chev Corvette. Renault Florides were rear engined and not very powerful according to a friend of mine who used to own one. 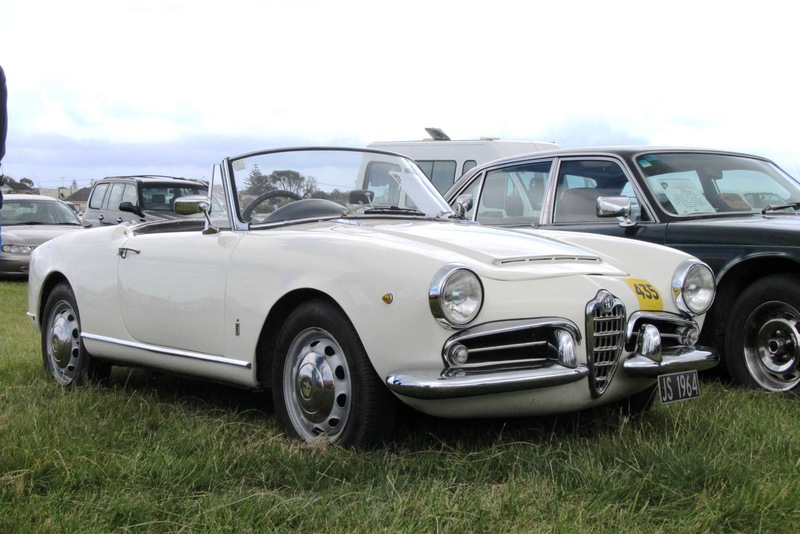 The lines of the 1964 Alfa Romeo Guilia Sprint are reminiscent of the Mercedes 190SL. 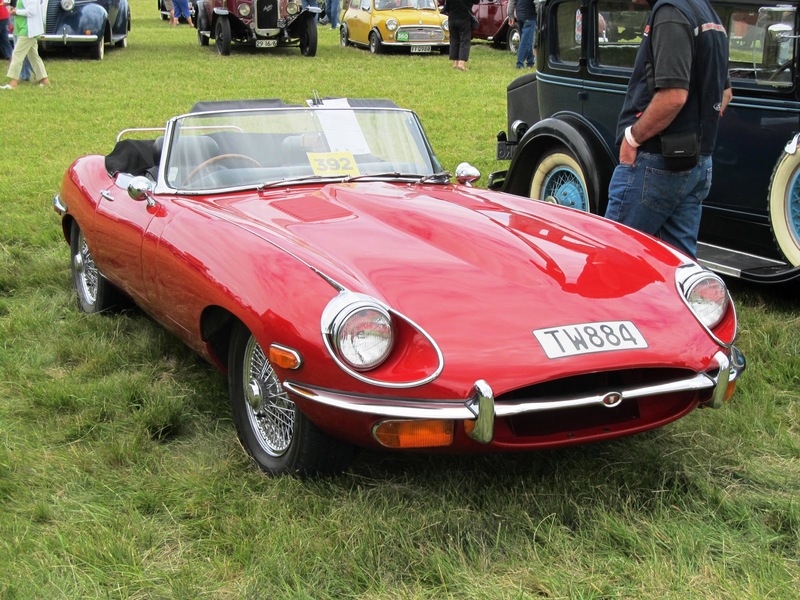 Jaguar E-types are almost common in the vintage and classic car circles, but they must be one of the most memorably styled machines of their day. The went on the road in 1960, but this 1970 model with 4.2 motor still looks good in 2012.